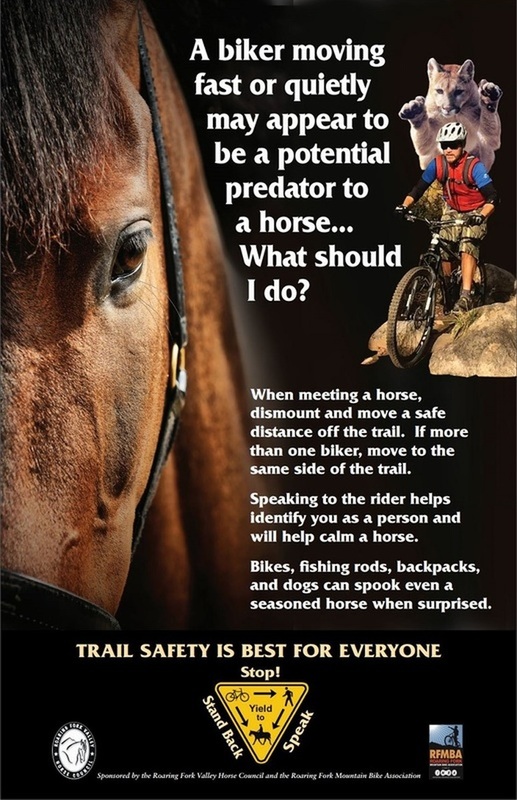 HEADS UP HORSE MEN AND WOMEN !! The RFVHC will respond on behalf of our membership in the near future. We are asking members to reach out to us immediately with questions, interests and concerns. We are looking for interested parties. The time-lines are tight. The on line contact is listed below if you are interested in learning more about the process. The City of Aspen states: The purpose of this Request for Proposals (RFP) is to solicit professional agricultural, educational, and/or equestrian operation lease holder(s) for the City of Aspen owned Cozy Point Ranch Open Space (CPR). Cozy Point Ranch is a unique open space property, where the fabric of our community can be shared and celebrated, from our agricultural heritage to concepts of the Aspen Idea. It is hoped that every child, who grows up in our community and all those who visit Aspen will develop a special connection to Cozy Point Ranch, where their lives will be enriched by formative experiences. Questions must be posted on the Rocky Mountain Bid System website,www.bidnetdirect.com or by emailing rebecca.hodgson@cityofaspen.com. Answers are posted online for all Offerors to review and consider. It is the Vendor’s responsibility to check the website for Q&As, addendums, and other important information. Feb 16th, 5:00pm - Aspen City Hall, down stairs in the Sister Cities Room. Pitkin County Open Space and Trails will host a second public open house to kick off this planning process on Jan. 18 from 5-7 p.m. at Carbondale Town Hall. The initial open house took place Jan. 12 in Redstone. Citizens are also welcome to fill out our questionnaire at the Carbondale event, where Open Space and Forest Service personnel will be on hand to answer questions. No formal presentation is planned as part of the open house format, but maps of the Crystal Valley corridor will be displayed to aid in the discussion of ideas or concerns. The goal is to collect public feedback at the outset, before work is done on planning a potential trail route. to learn more and comment. Please accept this report with our kindhearted intention to help bring Cozy Point Ranch up to the standards befitting a City of Aspen Open Space property. PITKIN OPEN SPACE "HABITAT PRESERVATION AND USE"
Please make your voices count! Pitkin County is taking public comment on "Habitat Preservation and Use" for all Pitkin County Open Space properties. This affects the wildlife. It is critical that everyone makes a comment on the Pitkin OST web site. We appreciate that Pitkin OST is purchasing land for open space. Oversight and enforcement of these areas is critical to keep them verdant, natural, and a place of peace and safety for wildlife. Respond at bottom of draft individually giving your name, and comment as requested. The Open Space and Trails Program seeks to rely on the best available science for property-specific study of natural habitat conditions as the starting point for optimal allocation of use of funds or county open space lands across habitat, agricultural, recreational, scenic and other authorized open space purposes. If such study reveals specialized habitat management needs, the program will seek to restore to healthy, natural function any degraded habitat, and will employ spatial or temporal closures or other appropriate mitigation to protect sensitive habitat from recreational or agricultural use impacts. Sensitive habitat may include those habitats used by rare and endangered species, Colorado Natural Heritage Program-ranked habitat types and protected conservation areas, as well as, habitat types used by more common species that have special needs such as critical winter or summer range, breeding/nesting areas and migration corridors. Human uses will be planned and managed to minimize intrusion in breeding/nesting areas and migration corridors. Human uses will be planned and managed to minimize intrusion into the time periods and/or places of special habitat concern. Our Pitkin County Open Space land is precious, and paid for by the general public through our land taxes. The Roaring Fork Valley Horse Council (RFVHC) is concerned about the biodiversity and compatible human use on these lands, and also the BLM holdings. Thank you for protecting the natural habitat in our valley. Why: Our own beloved Rio Grande Trail is one of 5 nominees selected for induction into the Rail-Trail Hall of Fame! Your vote will decide the winner! History: The Rio Grande Trail traces a 42-mile transportation corridor between Aspen and Glenwood Springs that has functioned as a key connector in the Roaring Fork Valley since the Denver and Rio Grande Railroad raced to lay tracks to Aspen more than a century ago. Unique Qualities: The Rio Grande Trail is a long Rails-Trail multi-use connector through the spectacular Rocky Mountains. The Rio Grande Trail links our mountain communities together. It provides access on both side of the Roaring Fork River to a multitude of beautiful trails offering jaw dropping vistas and right up close interaction with wildlife and wildlife habitat. Vote now and demonstrate our appreciation for this wonderful gift we have! We wanted to take this opportunity to thank our departing RFVHC Board of Directors members for their service of time, ideas, organization, dedication, political and community networking, and leadership. It is encouraging to know that they will all remain members of the Horse Council and believe strongly in our mission statement. The RFVHC is evolving. 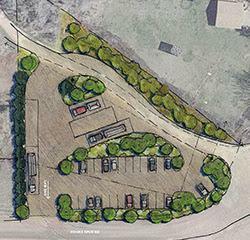 We are proud to report that this summer, construction will begin by the Pitkin OST for truck and trailer parking, with soft track access from Pitkin & RFTA collaboration, also to be constructed this summer. The 9,100 acres of “The Crown” will also offer an equestrian riding trail separated from the mountain bike trail, which was plotted last year by board members Susan Cuseo, Rheta Strong, and Leslie Thomas, in concert with Gary Tennenbaum of Pitkin OST. Many thanks to Pitkin County OST Board for helping the RFVHC to protect equestrian trails and energize our trail riding fervor. The remaining RFVHC Board of Director members are excited about the new possibilities ahead of us. We are currently working on comprehensive plans for the Cozy Point Ranch restoration and redesign with a supporting team of pro bono architect, landscape architect, financial officer, land- planner, and an abundance of equestrian experts, who have built, managed, and been successful in the horse industry on the national stage. We will be working with the City of Aspen OST Staff and Board, as well as with the Pitkin County OST Board and the Pitkin County Commissioners. These are temporary board members. The RFVHC will be holding free and open elections for Board of Directors positions conducted by standard legal voting procedures, which includes nominations and voting by the general membership. We are asking any and all of our general membership to join our ranks. We have four spots open on the Board of Directors. We meet once a month, the fourth Tuesday of every month and meetings will be held in the Mid Valley at the Eagle County Building, Spruce Room. If we get from Aspen, enough up valley Board members, we can hold meetings at the Woody Creek Community Center on occasion. All members are encouraged to attend any of the board meetings for new ideas and interest. There are times in all of our lives when things happen which put us on a different path. During these transitions we are not sure why, but it seems that there are reasons for these changes to happen. The Chinese symbol for Crisis has two letters; one letter is for danger and the other for opportunity. The RFVHC will take this opportunity, advancing forward towards a bright future for all equestrians in our valley. Pitkin County is in the process of acquiring one acre at the corner of Hooks Lane and Hooks Spur Road to provide recreational parking for Glassier Open Space. County commissioners are expected to make a final decision on putting this parcel under contract on June 10. Then, the parcel will be subject to the Eagle County subdivision process, which will take about three months. Pitkin County would assume ownership in October. In the meantime, design work is under way for a parking lot at this site with the expectation that an unpaved parking lot would be created in 2016. At a May 29 site visit, equestrians and others looked at the potential for horse trailer parking at this lot, as well as on Glassier Open Space itself. No decisions were made. The minutes of the site visit meeting are posted here. Watch this site for further information regarding parking.